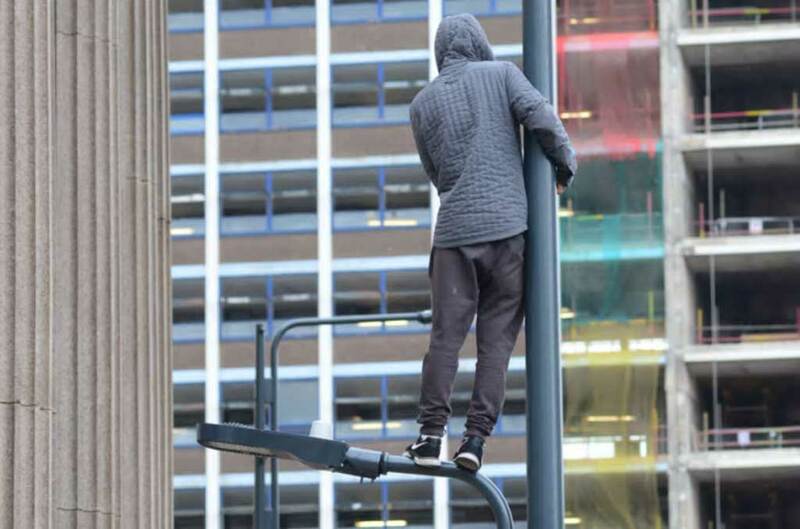 A man who brought city centre traffic to a standstill after climbing a lamppost and refusing to come down for nearly five hours was arrested. 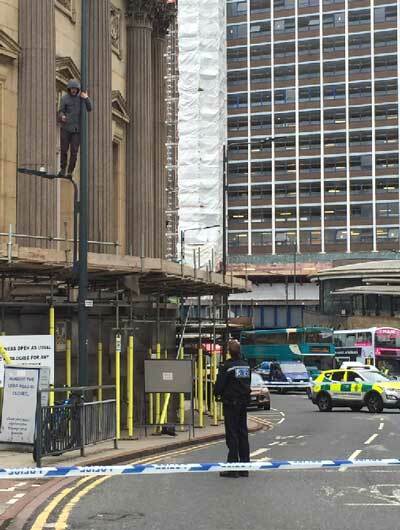 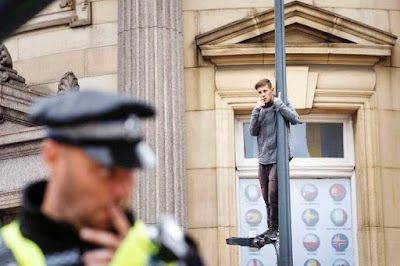 25-year-old Daniel Bates scaled scaffolding to reach the post outside The Queens hotel and main railway station in Leeds at 9.10am on Monday morning. 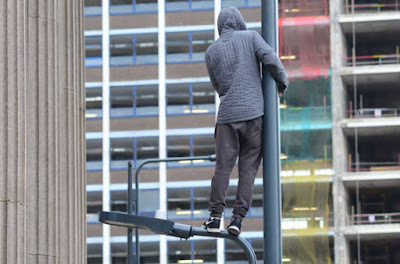 He stood on a light fitting in City Square about 20ft (6m) above the busy loop road, the three-lane road which carries all traffic around the city centre. Police, paramedics and fire crews attended the scene. 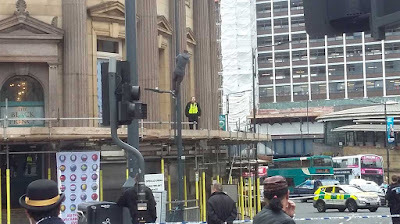 A specialist police negotiator was called in and the man came down from the post safely at around 2pm before being detained. 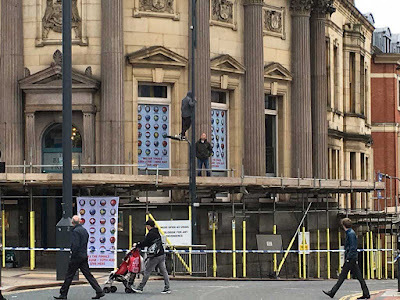 A West Yorkshire Police spokesman said: “Officers were called after the man climbed scaffolding to reach the lamppost and refused to come down. 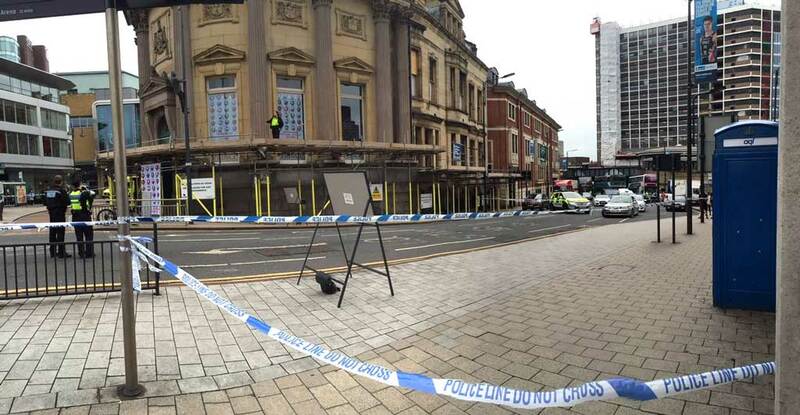 A cordon was put in place and a trained police negotiator maintained contact with the man throughout the incident. 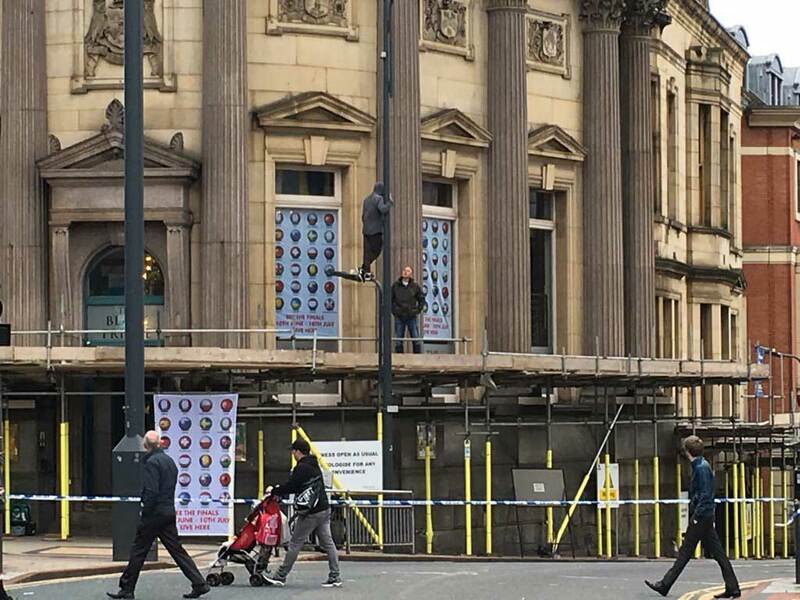 At about 2pm today he came down safely.” Bates, from Hunslet, was arrested for wasting police time and is due to appear in court on Wednesday.